Packmore is the first and only company specialising in the production of 'mobile' wrapping machines for end-of-line packing Long experience in the sector of stretch film wrapping machines and careful analysis of the market, have led Packmore to create new mobile wrapping systems that are absolutely innovative and offering all the versatility which the traditional fixed station systems cannot give. 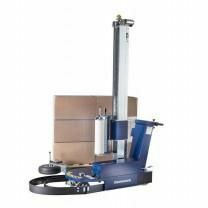 In fact, the machines conceived and patented by Packmore are wrapping machines without fixed installation, designed to wrap any pallet in any part of the warehouse in just a few seconds. 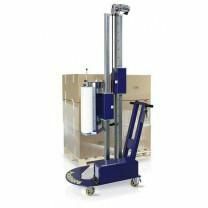 All the wrapping machines are compact, ergonomic and equipped with latest generation stretch film treatment systems to drastically reduce consumption.